Explanation: Is that a cloud or a flying saucer? Both, although it is surely not an alien spacecraft. Lenticular clouds can be shaped like a saucer, and can fly in the sense that, like most clouds, they are composed of small water droplets that float on air. Lenticular clouds are typically formed by high winds over rugged terrain and are particularly apparent when few other clouds are in the sky. 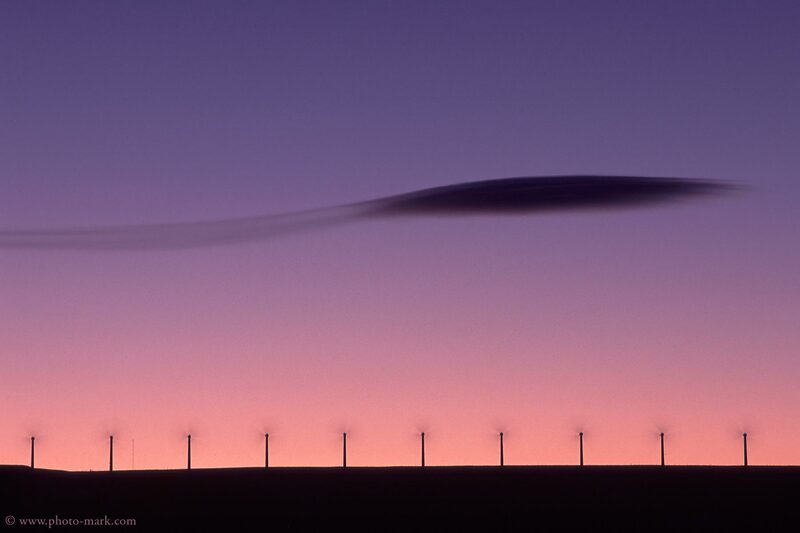 Lenticular clouds can take on particularly strange, layered shapes. Above, a couple stopped their car near Yellowstone National Park in Wyoming, USA to photograph this lenticular cloud behind picturesque windmills.